In today’s employment environment, it can often seem like the legislative jargon and requirements are produced to confuse and complicate businesses to the point where ignorance feels better than compliance! A lot of business people would rather invest their time in building their business in a more practical sense, often underappreciating the importance of a strong safety culture within the workplace. With over 40 years’ experience in health and safety, throughout a number of industries and company sizes, our advisers are fully qualified and very well-versed in ensuring workplace safety and legislation adherence, and all are passionate about improving safety culture within companies and organisations. Mike Honeyman has a message for employers: Safety is personal. In this video, he shares the hard lessons he learned as a business owner after one of his workers was seriously injured on the job. Woodside Safety Training offer a bespoke safety adviser service acting as your remote competent resource/company safety adviser, which helps us to assist you in meeting your legal health and safety obligations, as specified in Regulation 7 of the Management of Health and Safety at Work Regulations 1999. 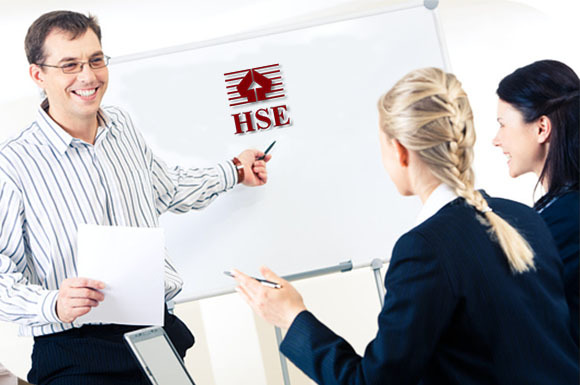 Whether you need general safety coverage or help in gaining specific industry accreditation, our HSE team can produce you a simple-to-use but fully compliant HSE plan for your business and conduct necessary actions, tailored to your company’s needs and requirements. We can covering a wide range of health and safety related aspects of work and the workplace, including development of Health, Safety and Environmental policies, conducting risk assessments and action plans, liaising with Enforcing Authorities and providing you with up-to-date information on legislation changes and further necessary actions required to maintain adequate health and safety. To accompany these services, our comprehensive Health and Safety Management System (AIMS) will be your online port-of-call, accessible 24 hours a day, 7 days a week, allowing you to log all safety-related data such as risk assessments, fire assessments, accidents and injuries in the workplace, correspondence with authorities etc. and we can monitor your system and progress, enabling you to receive factual analysis of health and safety performance within the workplace. Call us today to see how easy your HSE compliance package can be implemented, and to discuss your company’s safety needs. What are the benefits of using an external safety adviser?